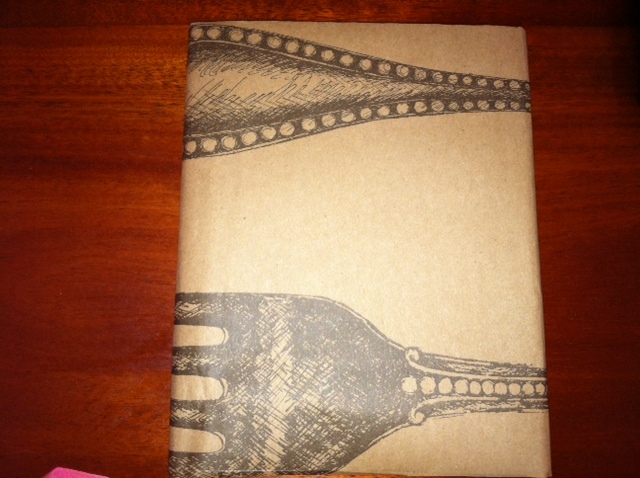 I think this table wrap is the most clever idea I have seen in a while! We are using it for all kinds of applications, not just as a tablecloth. 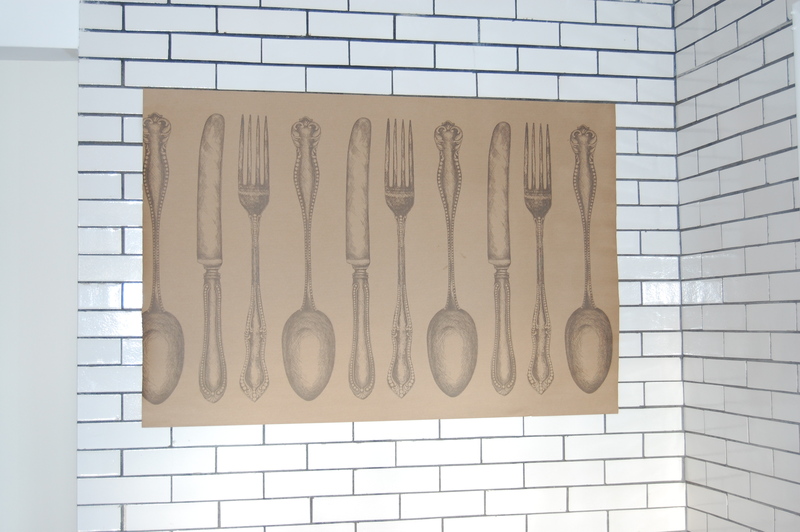 We framed it in cherry wood frames as art in an office kitchen, cost: $12 (including frames), we cut it and hung it in a kitchen of a house we staged, cost: $6, and we have been wrapping cookbooks ($1-$2) in it, too. This product is available by the roll from Home Remedies in Portland, ME (207) 899-0135.